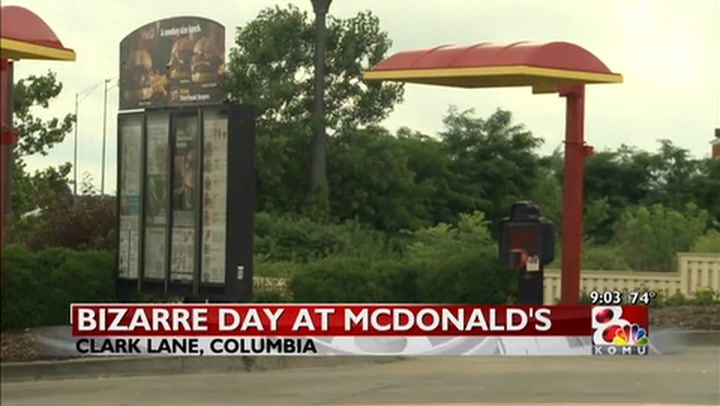 COLUMBIA - Columbia Police say a woman walked into the McDonald's on Clark Lane and alerted someone she is a missing person Wednesday. Police say they got a call from someone inside the restaurant reporting that there was a missing person there. Police say they don't know if the call was made by an employee or customer, and sent multiple officers and an ambulance. They said the woman appeared to be unharmed and was taken in for questioning. KOMU 8 saw a police officer point at the McDonald's dumpster, then a few minutes later saw two officers taking multiple duffel bags from behind the dumpster. The two officers then put the bags in their police cars and drove off. A news release said the woman is not a missing or endangered person. It also said police will not release anymore details on the incident.